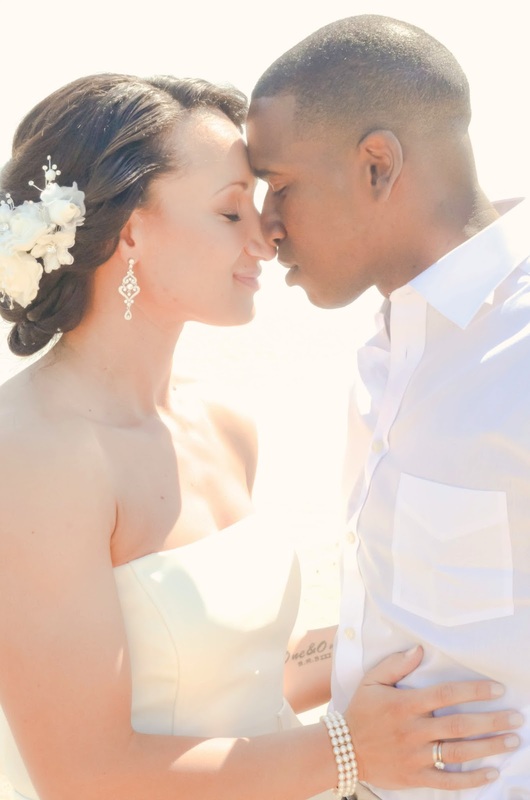 This wedding happened almost a year ago, and at that time I was pregnant and due in a month with our third boy. Right now I have a 3 1/2 year old, a 2 year old, and a 7 month old. Times are crazy, fun, wild, exhausting, loving, exciting, and consist on living with very little sleep. I call myself a lazy blogger because that's me; definitely not lazy in life but lazy in putting my life into my blog. I'm hoping to turn over a new leaf in this area. This is the wedding of my dear friend Jill; she was planning this from a deployment so I did the wedding coordination, planning, flowers, cupcakes, decorating, and photography. Yes, at 9 months pregnant! I was exhausted, but it was SO much fun. I love getting to go back to my roots and do weddings occasionally. They're a lot of work so I don't do them too often anymore and I'm very picky about the ones that I do, but this was a blast to do. Jill is super easy going and had an idea in her head of what she wanted but left it up to me to make it happen. 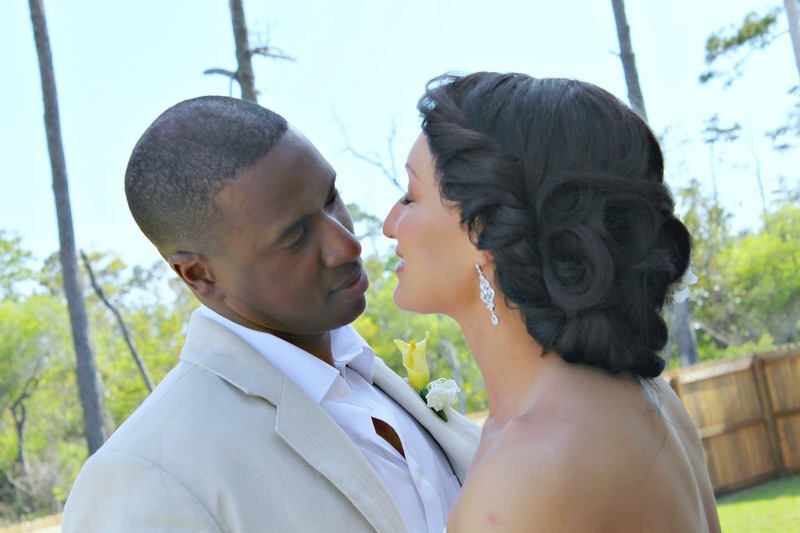 That is my favorite type of wedding; when I am given the creative reigns and freedom to make someone's vision happen. 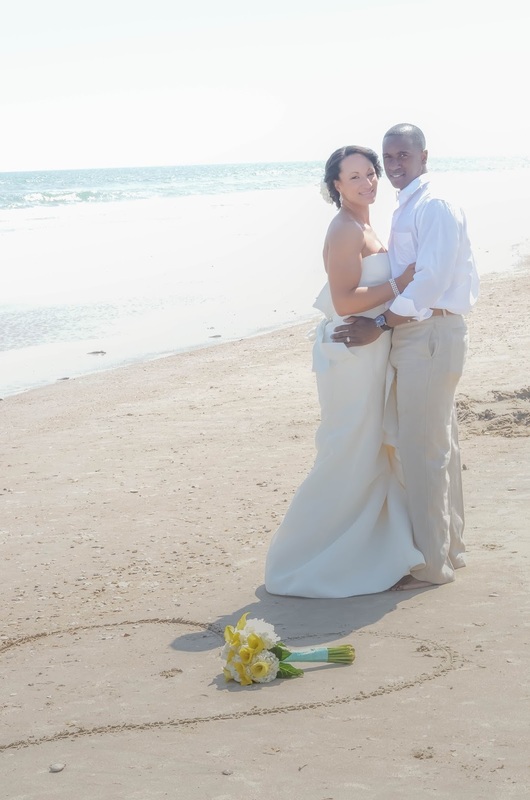 This was a beach wedding and backyard reception. We saved money by doing pretty much everything ourselves. 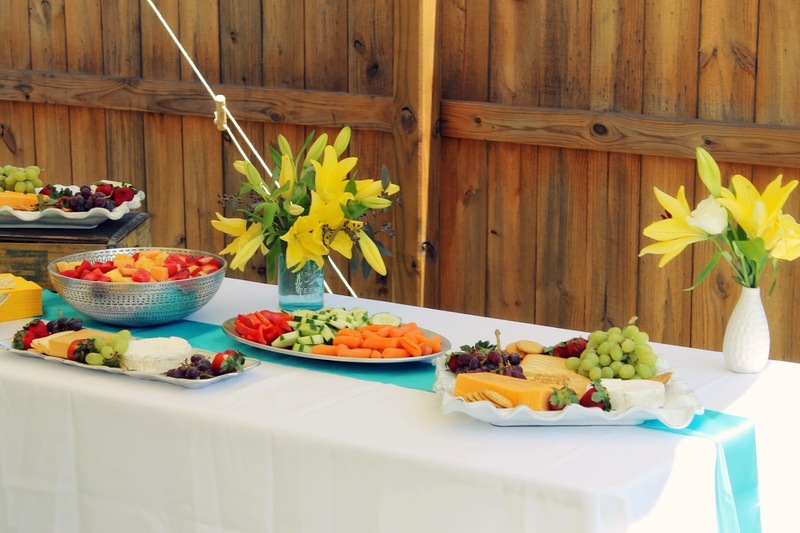 Everything from the appetizers, cupcakes, flowers, decorating, set up, take down, photography; the only thing we didn't do was set up the ceremony, run the ceremony, and cater the reception, that was pretty much it. Here are some photos of the beautiful day and some details of that day. 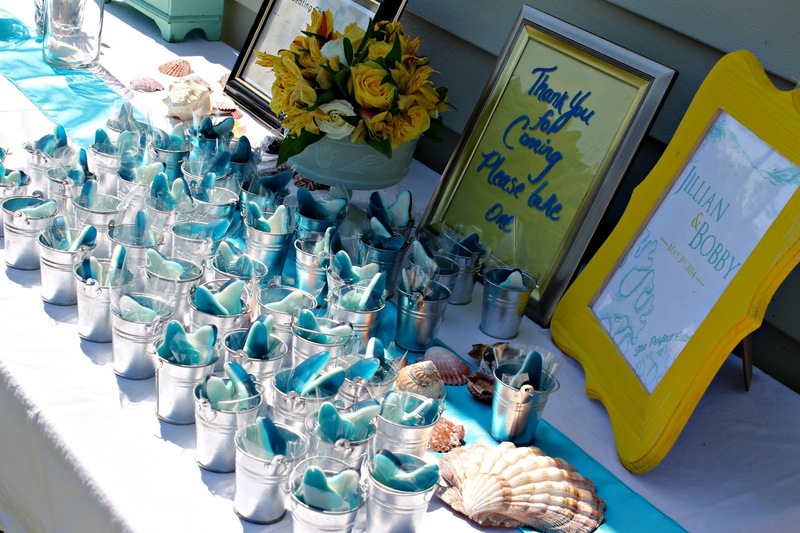 Favors for their guests were mini galvanized pails with blue gummy fish in them that said "Jillian and Bobby; the perfect catch"
In lieu of a traditional guest book, guests signed seashells with well-wishes for the couple. 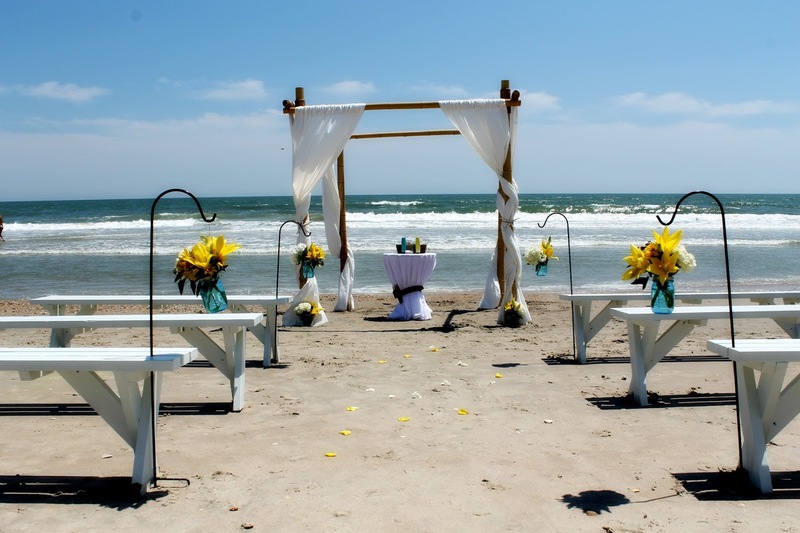 The ocean front ceremony site with benches for seating. The signature cocktail was a mojito and there was a mojito bar for guests to make them any way they wanted including adding different berries. The table centerpieces were each unique and hand hand-made table numbers. 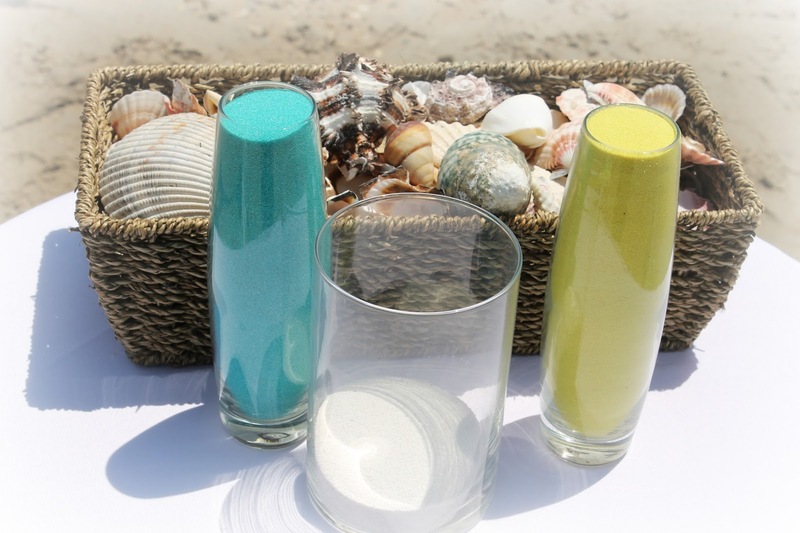 Vintage mason jars, and vintage milk glass were combined with clear vases from the dollar store to mix the beach, vintage, and eclectic vibe. 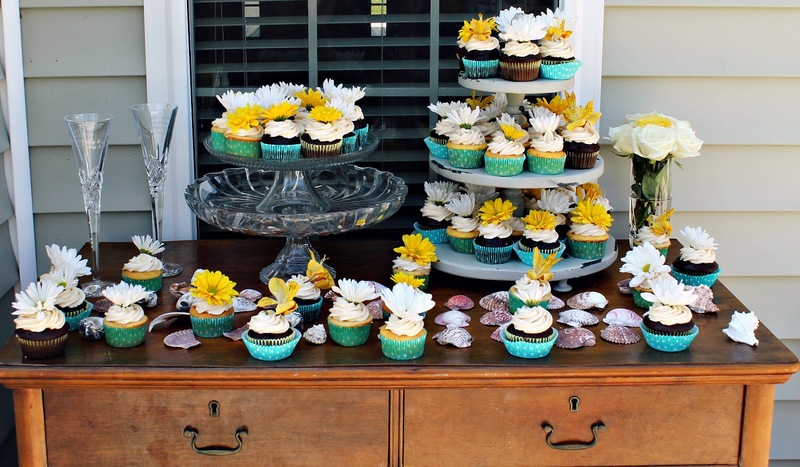 Starfish were glued onto burlap and seashells were scattered on each table on top of teal table runners. We purchased chair ties and used those instead of table runners for a less expensive alternative and a pop of color. Mason jars were used with colorful stars to drink out of. 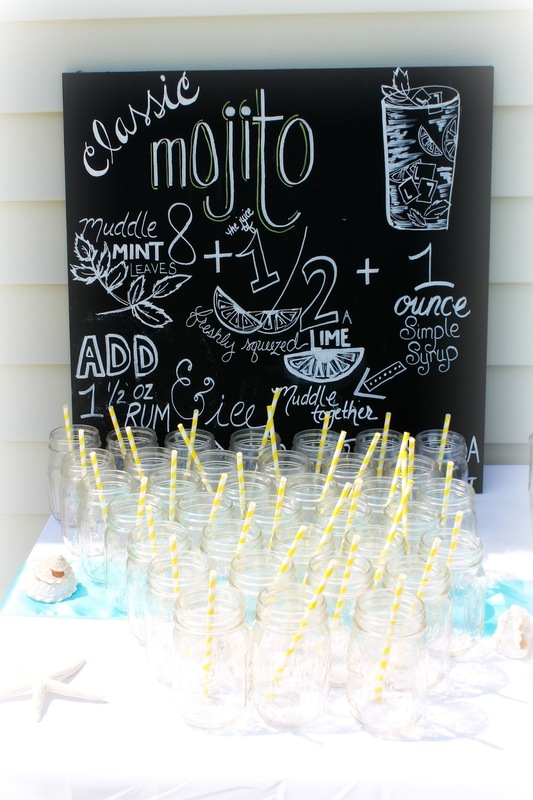 A piece of plywood was painted with chalkboard paint and hand-drawn with the mojito recipe. 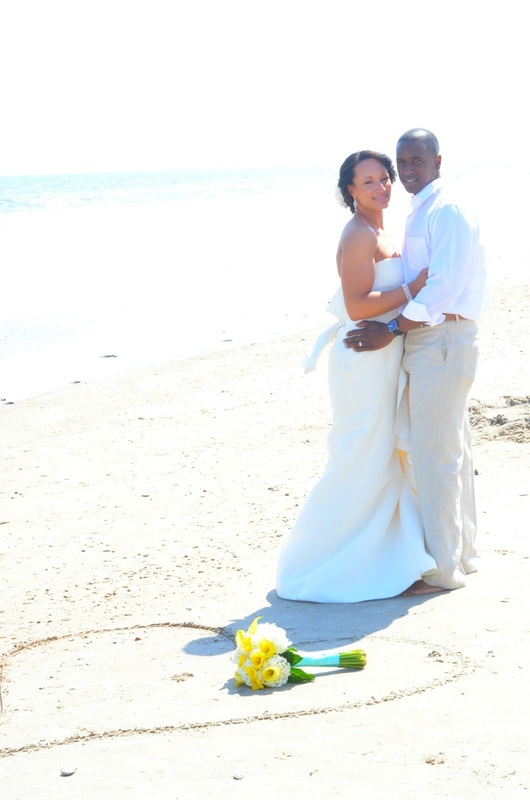 Congrats dear, and I just love beach weddings. 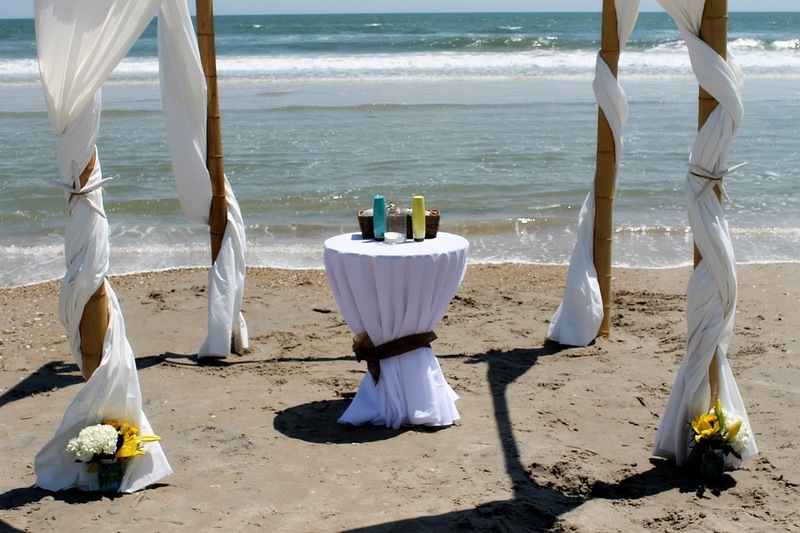 I really wish if I could attend any beach wedding. 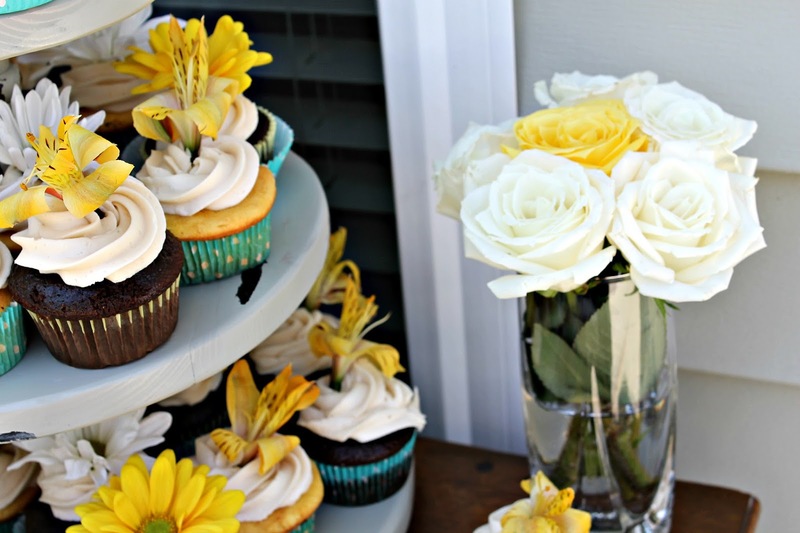 The bride’s bouquet of yellow and white flowers is just attractive and serving of cupcakes rather than cake is really a unique idea. Above all this, colour combination is amazing too. 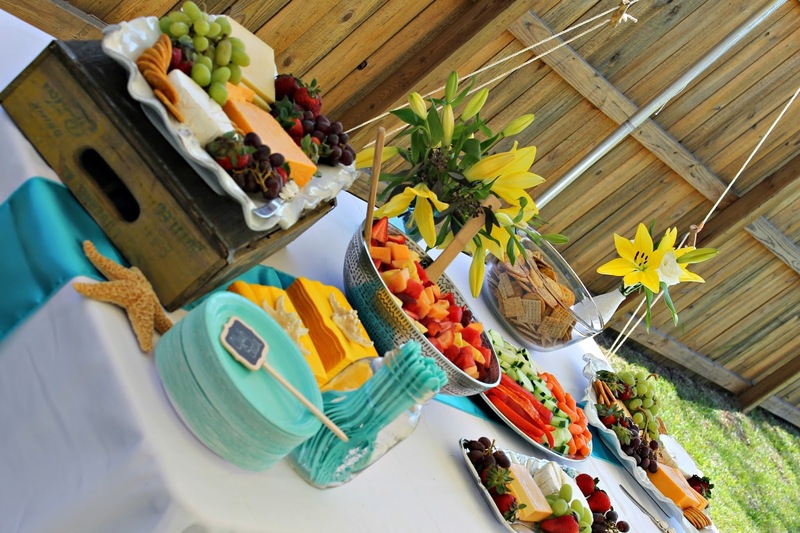 I will use all of these ideas in my wedding reception which is in next month. Congrats and thank you! I hope your wedding reception is a wonderful day for you!